This little gem is one of the nicest surprises of the year. It entertained me and left me with a feeling of satisfaction that’s all too rare these days. 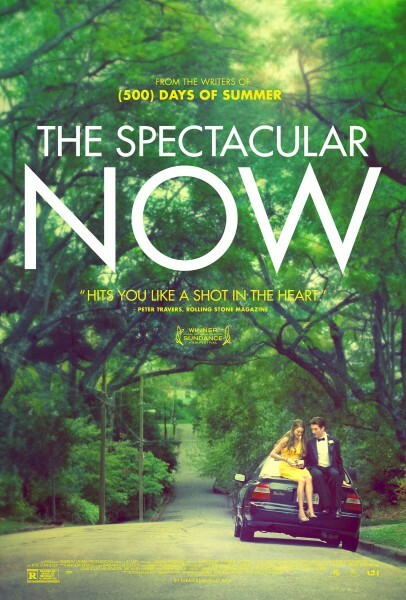 Like “The Way Way Back” earlier this year, “The Spectacular Now” is rooted in truth and offers honest observations about relationships, adolescence and independence. Miles Teller plays Sutter Keeley, a high-school senior who doesn’t take anything in his life seriously and who is almost always drinking and partying. Then he meets Aimee Finicky (Shailene Woodley), a shy girl who’s never had a boyfriend. She immediately falls under his spell and the core of the film is the relationship between these two complete opposites. These are characters we find ourselves rooting for and that’s one of the reasons why they lift this film above the norm of coming-of-age stories. In adapting Tim Tharp’s novel, director James Ponsoldt and screenwriters Scott Neustadter and Michael H. Weber (“500 Days Of Summer”) have made a film that’s so easy to enjoy and admire. Their movie is honest and it takes a piece out of you. I highly recommend it. I loved ” The Way Way Back” and now i cant wait to get back home and download this one! !